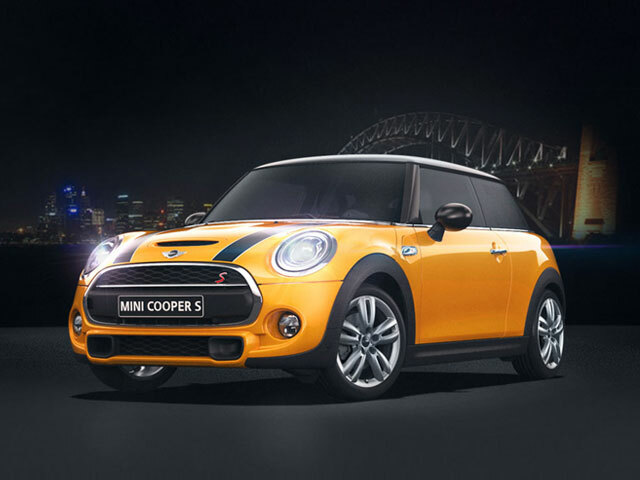 This project was a collaboration between a number of agencies that took different roles to design, build and produce various aspects of the new Mini Cooper microsite. 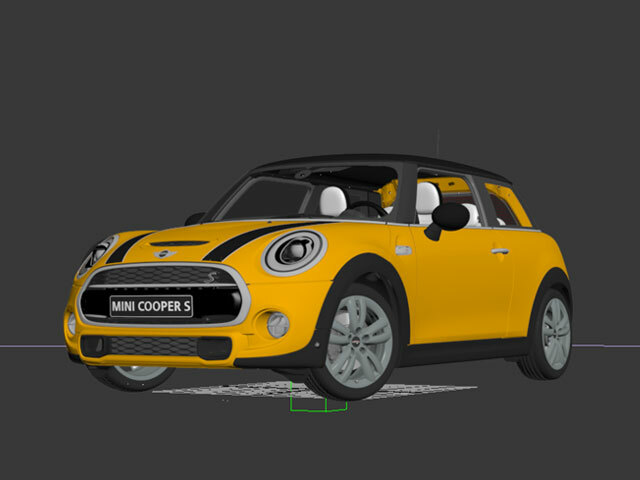 South Eleven was brought onboard to create photorealistic 3D renders of the new Mini Cooper and optimise each of the assets for interactive web application that allowed users to preview the car in 360 degrees. 1. 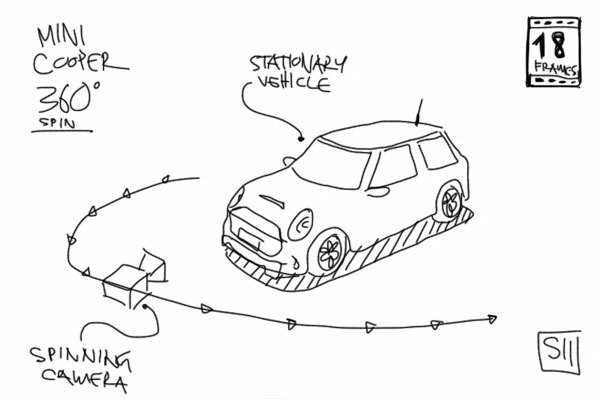 We first had to create, texture, light and render the new Mini Cooper itself. Working with such recognisable product our biggest task was to maintain the unique look that was consistent with the rest of brand's marketing collateral. 2. Then we had to work with developers to prepare and optimise all of the asset for a responsive web application. 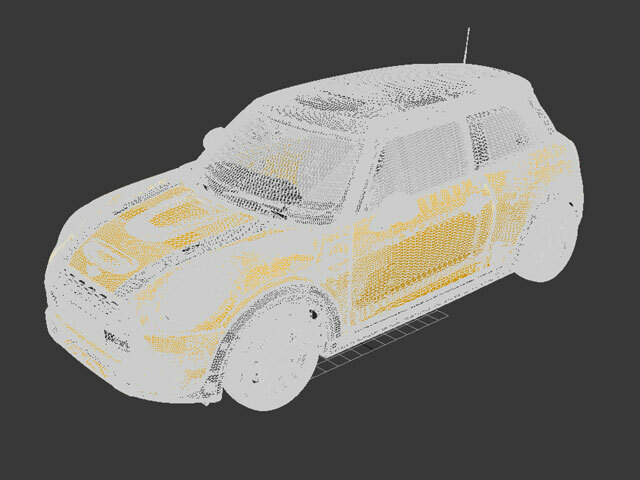 We were supplied with an accurate 3D model of the new Mini Cooper, which was a massive time saver. This high resolution model was then cleaned up, optimized and rigged up for easy handling within the project. Next we had to re-create accurate lighting and camera angles to match the unique Mini Copper look. Lighting was rather tricky as each of the reflecting highlights had to be recreated with high precision. At the end our lighting rig consisted of over 10 lights, spots and reflectors. With that in place the model was given its shaders, colours, materials and prepared for rendering. Once rendered it was further post produced in After Effects to sharpen the image, make necessary colour corrections, add lens flares to vehicle headlights and etc. Finally all visual assets were optimised to work within a responsive website and rendered as a 360 degree animation. The result of this project was a fully functional digital asset that could be used as part of a responsive site. It provided the microsite with a custom visual element, that was key to creating a rich user experience.